Here at Boating Planet, getting out in a hire boat for a day on the water doesn’t get any easier! Simply choose from one of our 3 quality hire boats, get a leave pass from the wife and or the boss and book your boat, then meet us at the Newport marina where your boat will be waiting. When your day is over there’s nothing more to do than tie the boat up from where you left and cook your catch or decide what to do for dinner! Up until October 2018 we were a Boab Boats franchise but have now rebranded as Boating Planet – we are still focused on providing the best quality service, and helping you get out and explore our amazing Moreton Bay! All of our hire boats are equipped with up to date electronics, the two larger boats are even equipped with GPS! Our Bow Rider can take you anywhere in Moreton Bay and up to 15 Nautical Miles offshore. 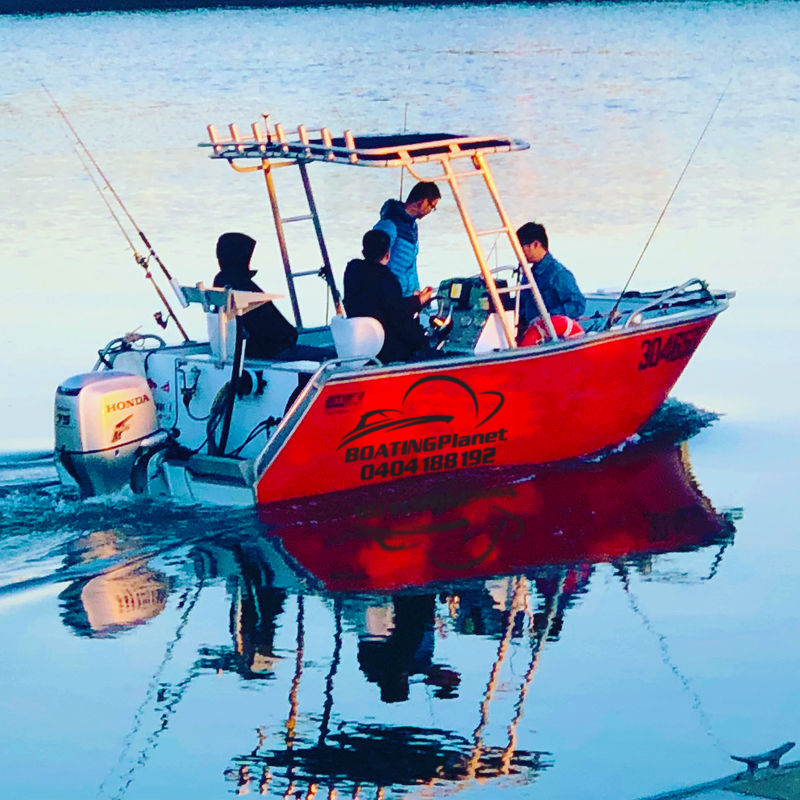 Destinations such as Tangalooma, Moreton Bay, Pine River, Brisbane River, Somerset Dam, Pumicestone Passage, Hutchison Shoal, Shallow and Deep Tempest and Flinders Reef are just a few perfect playgrounds for your adventures. Not only do we have the best hire boats in SEQ, we can also provide a fun, easy solution for all your licencing needs. Being located at Newport marina, we cater for both individuals and groups alike! Don’t want to drive this time? No worries, let us drive for you! Thanks to our friends at Shield St Café, we can even bring your lunch!! Everyday is a great day only if you hire from Adam from Boating Planet! Fantastic service, super reliable, easy hire, how can you top that..see you again very soon. Cheers! What a great time we had yesterday! We hired the “Polyboat” which can be driven without a boat licence, and explored the North and South Pine River for the whole day. Now, after such a great experience, I WANT a boat licence! Adam is really excellent to deal with and the boat was perfect! We will be using Boating Planet again!! Great service. Adam is flexible and extremely accommodating. I can not think of an easier, no-fuss way to get out on a boat. 11/10. Boat was clean, quiet, fast and exactly as advertised. Adam was on time, through and helpful. We’ll be renting again this summer! Had a great day out on the water thanks to Adam at Boating Planet, the bowrider was able to take 5 of us out comfortably for a day of fishing.